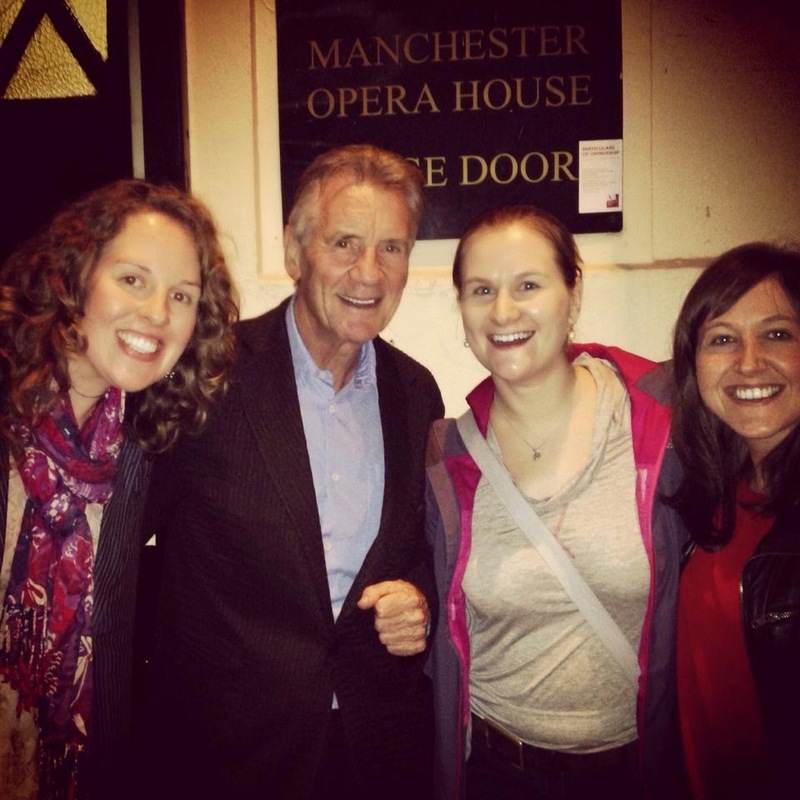 When I originally wrote the bucket list I have included on this blog, there was one experience that had to be included - meeting Michael Palin. While for many people, this man is irrevocably linked to comedy and the genius of Monty Python, he has always been a travelling inspiration to me. Not only does Palin get sent to fascinating destinations and is paid to do so (something I have always aspired to), but he does it with such warmth to the people he meets. I personally believe that his style of travel is something that cannot be faked, but is nurtured and this comes across in his footage and books. When the New Europe book was released my sister and brother-in-law queued to get it signed for me. 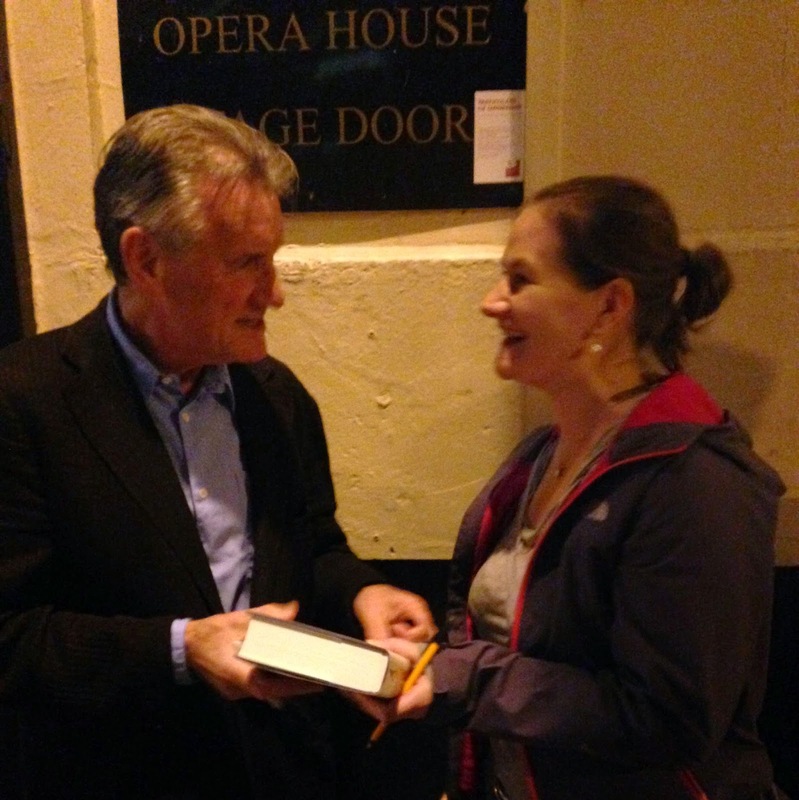 Unfortunately there were so many other Michael Palin fans also waiting to meet the man that they had to settle for a pre-signed copy. It still contains a post-it note inside reading: "To Emma, Bet I've been to more countries than you!" which they had hoped he would write inside. So imagine my delight when a friend informed me that the man himself was about to embark on a tour of the country entitled Travelling to Work. Already sold out in York, I managed to procure tickets for me and two of my best friends at the Manchester Opera House on September 29th. I was excited about the show, but nothing could prepare me for actually meeting Palin in the flesh. 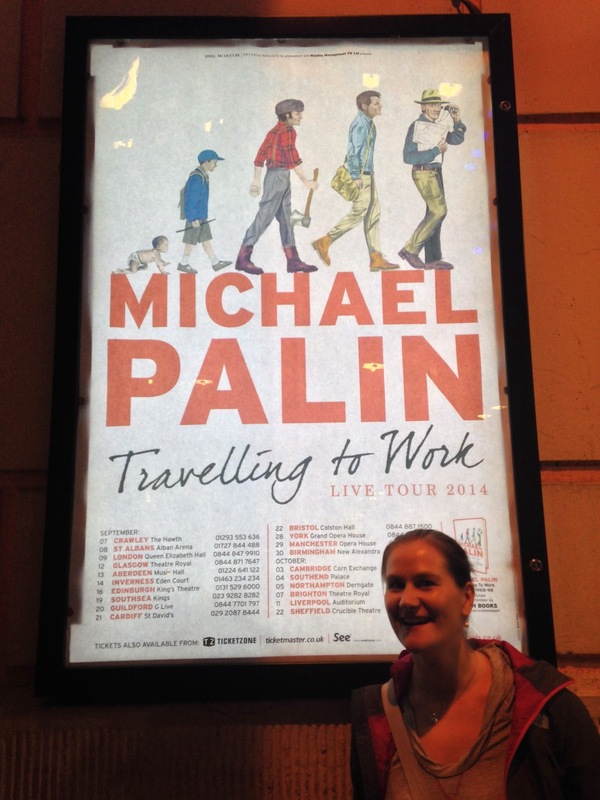 The Travelling to Work show was split into two halves, the the first concentrating on some of Palin's incredible journeys and the second offering up a crowd-pleasing insight into his comedy. He even included time at the end to dip into a steel bucket and answer questions submitted by the audience. 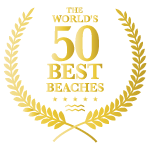 For me, I was enthralled by the tales covering everything from Around the World in 80 Days to New Europe and beyond, with the stunning photography to accompany it. Like any self-respecting world traveller I took delight in smiling to myself when places I had visited were mentioned and looked across to my friend who accompanied me on five weeks around Eastern Europe in 2007. We shared a knowing look as Palin described the Merry Cemetery in Sapanta, northern Romania, which is populated with garish wooden gravestones depicting scenes from the lives of the deceased. During the interval I set off in search of the book and came across a stand selling volumes of the hefty tome. I was dismayed to see that they were already pre-signed, thinking that any opportunity to meet Palin this time was lost. The representatives told me he had spent two days signing books prior to the tour and that he insisted that all sales of the book were completed through an independent bookshop. I proffered my business card and begged them to pass it on to my hero. The second half lived up to expectations and a very sprightly Michael Palin had the audience in stitches with tales of Monty Python inspiration and even some sketches that didn't make it into the final versions. An idea depicting the conversation when trying to book the Last Supper was particularly hilarious. Our laughing muscles having gone through a thorough workout, we came out of the venue and my long-suffering friends agreed to join me in hovering outside the stage door. A small number of people had gathered and we didn't have to wait long before a representative appeared and asked us to form a queue. It was only when the slight 71-year-old came out that I started to believe I would actually meet him. Understanding what a big deal this was for me and being truly altruistic, my friends stepped back as we reached the front of the queue, allowing me to have a proper chat with Palin. I told him that he was the inspiration behind me becoming a travel writer and he asked where I had visited this year. As we chatted about Malaysia, he wrote "To Em, Happy Travels" in my book, as my friends snapped photos of us. They then stepped in for a picture of all of us. My incredulity lasted all the way home.